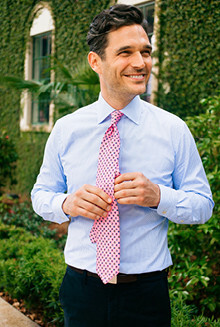 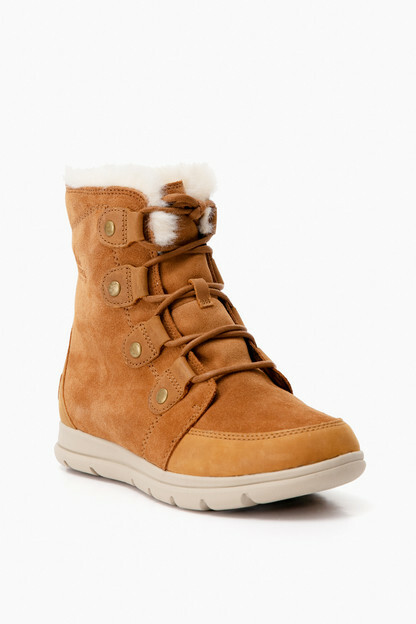 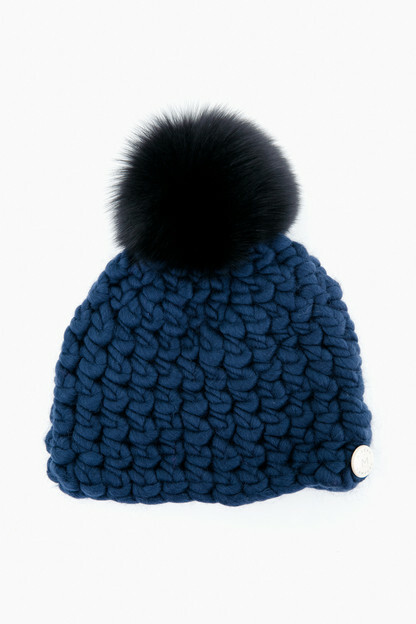 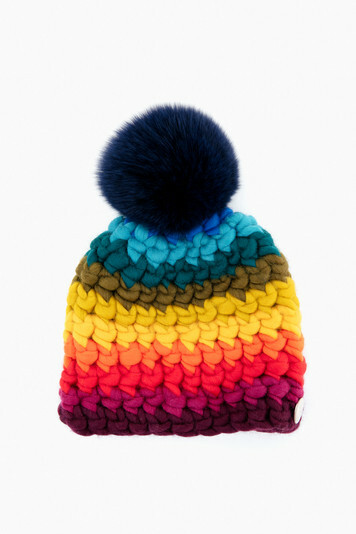 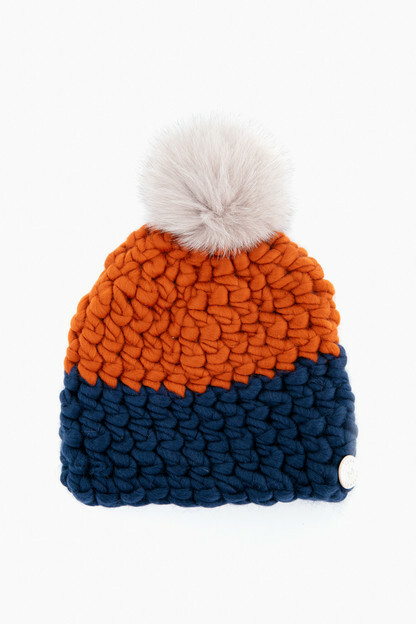 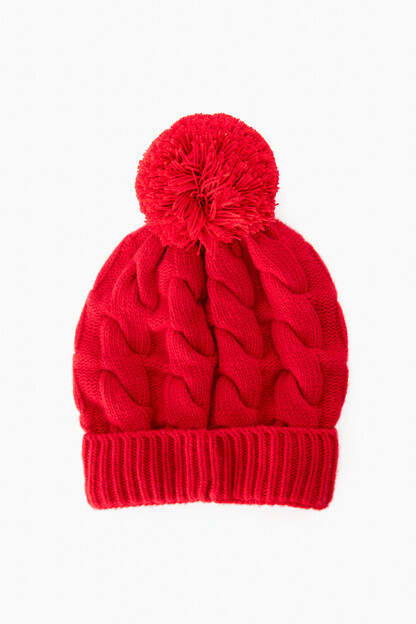 Designed in playful colors and stripes, this beanie features a large fur pom. 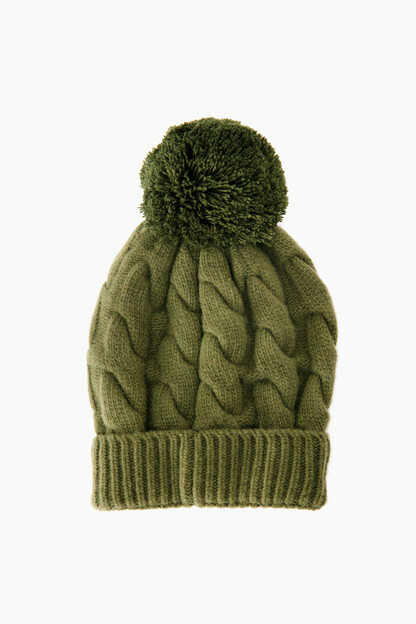 Made from 100% merino wool, this thick hat will be your warmest option. 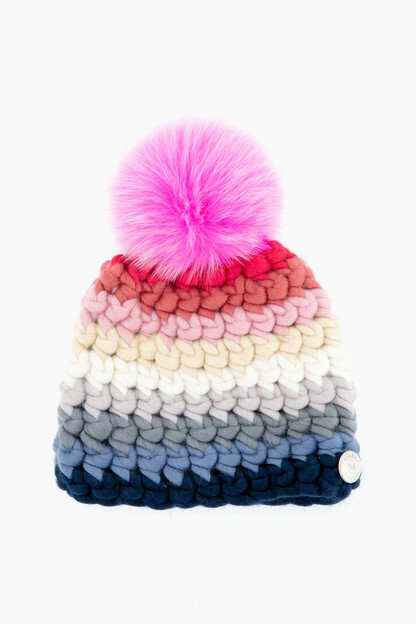 Will fit a head circumference of approximately 22.5"
The price tag was a little hard to swallow for a hat, but once I received it I wanted 10 more! 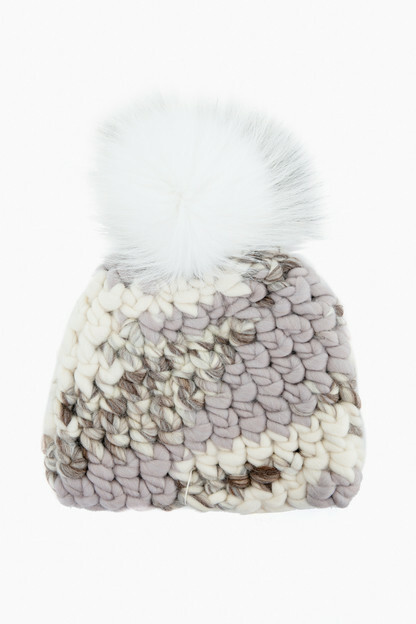 These hats are much thicker than any other I own and they are more sturdy, and don't stretch out- I'm obsessed!